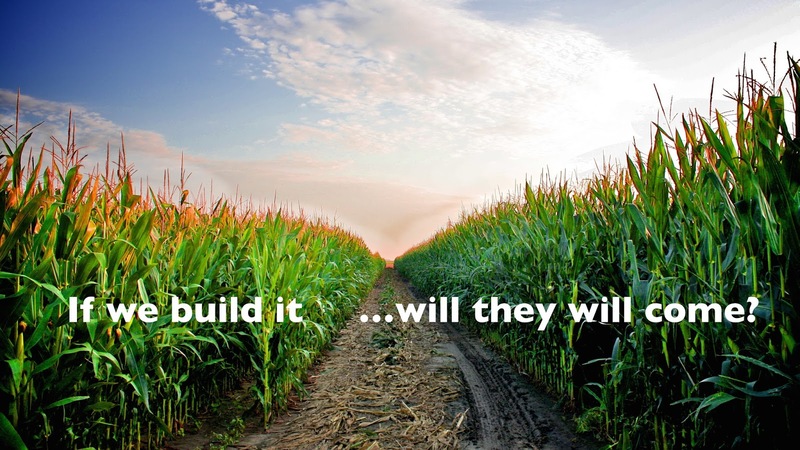 Chris Boardman Music Blog: If I build it... I sure hope they'll come! If I build it... I sure hope they'll come! So many of us buy into the myth: “if we build it…they will come.” That is a romantic notion that is rarely, if ever, fulfilled. As creators, (musicians, composers, filmmakers, artists, etc.) we spend our lives honing our craft, digging into every detail, leaving no stone unturned in our efforts to improve our creative abilities. Why don't we dedicate an equal or greater amount of time learning how to sell and promote ourselves? It’s because we are uncomfortable. If you haven’t seen the success you desire in the music business would it be fair to say that you haven’t invested the time and effort in understanding what selling is let alone thinking of ourselves as a business? If you were in the position of hiring you and you listened to your pitch would you hire you? If you are stuck, where do you start? Where do you focus our attention? What assets do you need to build before we begin? Selling is not voodoo. It is a skill that can be learned. Why not invest the same amount of effort into selling as you do in your art? It is common for creatives to say: “I’m an artist. I do my art. I don’t sell”. That’s fine if your goal is to stay in your basement and never make a living from your creative work. The professional will invest time and money into their art/business because they know that investing in assets (you) will give them an edge. It’s not free. No one will do it for you! “If you don’t value yourself…no one else will”. Ask yourself: am I willing to work for it? Can I step outside my comfort zone and acquire the skills necessary to become a professional? If your answer is anything but yes then you have a problem. A solvable problem...but a problem nonetheless. Artistry in music comes after years of study and practice. Why would you assume that selling your products or services requires less? Make the commitment. Put your fears aside and get to work. Just like practicing- the more you do the better you'll get. Please leave me a comment below and subscribe in the upper right hand corner.